The Elder Scrolls V: Skyrim is an open world action RPG (role-playing video game). 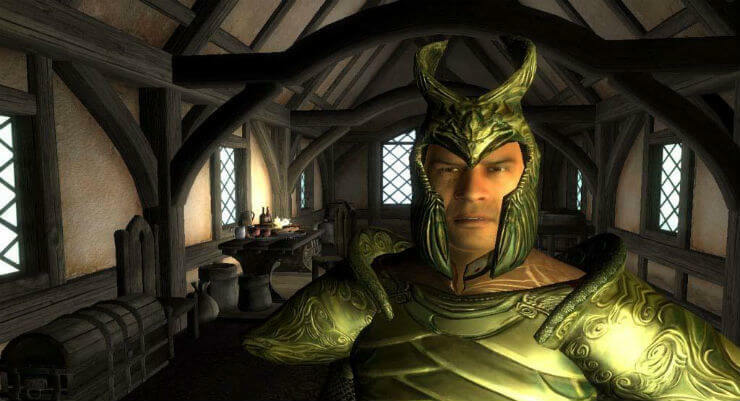 It is the fifth game of the Elder Scrolls series, and was released worldwide in 2011. The main story of the game involves the character's quest to destroy Alduin the World-Eater - a dragon that wants to destroy the world. The game is set in the fictional place known as Skyrim, 200 years after the Oblivion or the Great Anguish. The game is available on Xbox 360, Xbox One, PlayStation 3, PC, PlayStation 4, PlayStation VR, and Nintendo Switch. What's So Appealing About Skyrim? 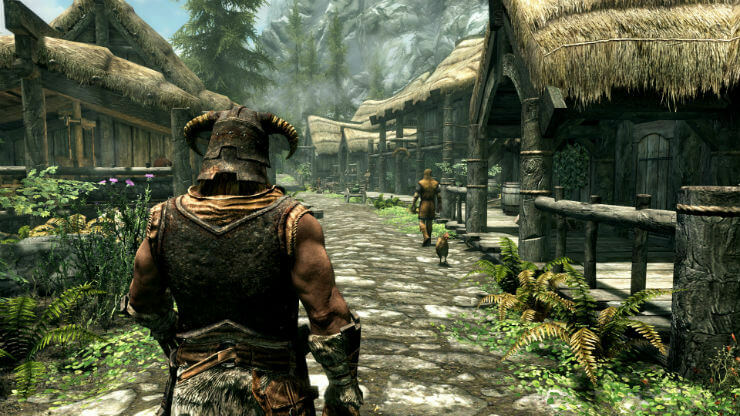 A lot of people still enjoy playing Skyrim, and it still seems to hold its popularity. The Elder Scrolls V: Skyrim is actually the fourth best-selling video game for Xbox 360 with over 13.7 million copies sold, which demonstrates just how popular the game is. The game received critical acclaim right after its release. It was really well received, and what people liked most about it was the fact that the character class (that was there in the first four Elder Scrolls) was removed. This meant that players could now try out their skills and do a bit of experimenting before having to decide on a class, which was previously done early on in the game. You can have your individual play-style in which you could specialize, and you can make your character more personal and unique. One other thing that drew large audiences to the game was the game's art style. If you are one of the many people who fell in love with the game, then you might want to have a look at some other similar games out there. You'll probably find at least one you like. My list is based on top rated RPGS that are similar to Skyrim in game play, characters or other characteristics. You'll come across both new and older games in the collection, so check them out and see which ones you like best. You'll find games that offer a great RPG experience, which you can play on multiple platforms. You'll be very impressed with the gameplay and graphics of the The Witcher Franchise. The Witcher 3: Wild Hunt is most compatible to Skyrim, because you'll mainly be using swords and bows, and a bit of magic now and then. The great thing about the third installment is that you can play it without having to return to the first two, although it's always better if you do. 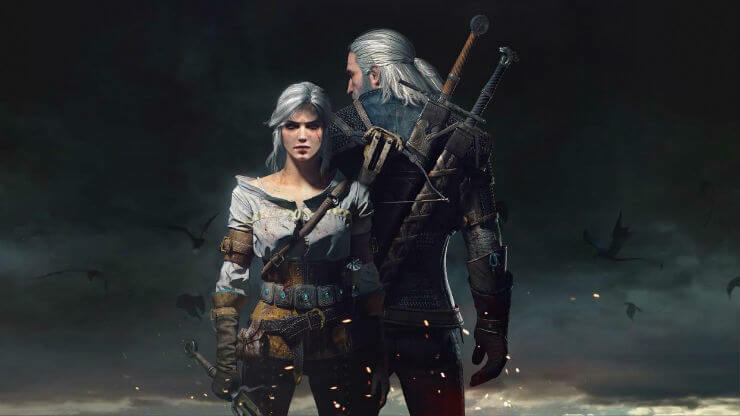 Your task in the Witcher 3 is to find the main character's missing daughter, a girl that has the power to destroy the world. In the meantime, you can explore wide open spaces in a medieval fantasy world, engage in battle, make difficult decisions and ride on horseback for some missions. Fallout 3,4, and Fallout: New Vegas might be as close to Skyrim as it gets. You have the freedom to organize your gameplay as you wish, customize your settlements, explore buildings and ruins, and spend hours in the game without ever getting to the main story. You'll have tons of unique real life locations to get lost in, and quests that are similar to those in Skyrim when it comes to gameplay and design. The thing that differentiates it a bit is that it's set way in the future. Fallout 3 is set in 2277, while Fallout: New Vegas takes place 4 years later. The games are set in a post-apocalyptic setting, after a nuclear apocalypse, known as the "Great War", caused by an international conflict over natural resources between the States and China. If you liked the fifth installment of the Elder Scrolls, you'll probably like the fourth as well, so if you're looking for something similar, Oblivion is the first one you should check out. It's really similar to Skyrim, when it comes to the quests and role-playing, although it does lack in visuals a bit. You can spend hours playing it, because you do need to work your way up before you achieve your spot in the game and get to the good stuff. In the meantime, you can follow side quests, improve and develop your character, travel around and dispatch monsters. It's a never-ending fun adventure that you can play for days on end. The main part of the game is building your character. You choose a race with specific abilities in the beginning of the game and you build on it, improving your skills and ability. Mass Effect 3 is a third person shooter role-playing video game. It's set in the 22nd century, in our galaxy, where a lot of different alien races live and interstellar travel is possible. If you're into sci-fi games that offer really open gameplay when it comes to the choices you make, and the way they alter and affect the storyline, then you'll fall in love with this one. The game represents various planets and space in a very beautiful way. It's visually pleasing, and although the gameplay is very different from that of Skyrim, the conversations and the open ended gameplay are present. Kingdoms of Amalur: Reckoning is an action role-playing game developed in 2012 and available for Microsoft Windows, Xbox 360 and PlayStation 3. It's the only game that 38 Studios developed and published right before filing for bankruptcy. What makes it similar to Skyrim is the fact that it has a lot of towns and cities that you can go to, different choices that you can make and numerous quests to finish. You'll be able to feel that same sense of adventure you felt playing Skyrim as you go off path, discover a lot of secrets on the way, and witness the consequences that each of your decisions can lead to. Once you start playing, you'll know exactly what I'm talking about. Dragon Age Inquisition allows you to explore the wilderness, engage in combat, plan your attacks and have an impact on the storyline and the gameplay. Dragon Age Inquisition is a more traditional RPG than the rest of the games on the list. The way it works is you pick a race before you start the game. You can choose between: humans, elves and dwarfs. You can then choose your class: mage, warrior, or rogue, and modify your appearance. Once you're done with that part, you'll receive your special powers and abilities and can begin your quest. The game is available on PlayStation 3 and 4, Microsoft Windows, Xbox 360 and Xbox One. Dragon's Dogma: Dark Arisen is great for those of you who are into hack and slash games. The game is set in a fictional world where the main character assumes the role of a human that needs to defeat a dragon (a sign that the end of the world is near). The game has a smaller map than Skyrim and a less interesting lore but it has an awesome class system, great combat systems and interesting enemies. The game isn't that easy, sometimes requires guidance and is very active. Dishonored is another excellent action-adventure game with a very dark setting. It has a small game world, but does offer you the chance to roam freely and gets you addicted fast. The game is set in a fictional city that's ridded by the plague. It features Corvo Attano, the Empress's bodyguard who gets framed for her murder and is now seeking revenge. He becomes an assassin and is aided by the resistance and the Outsider, who gives Corvo his magical powers. Believe me, it really is. Some have described Far Cry 3 as "Skyrim with Guns", so let's see what the game is all about. The game is set on a tropical island. The protagonist's friends have been kidnaped by pirates, and he needs to save them and escape the island. Far Cry 3 is a FPS (first-person shooter) game that also involves some role-playing. It has various missions, that unlock you items once you successfully finish them. You can also use pelts of animals you find to improve your weapons and items. The game has been praised for its great design and story as well as open-ended gameplay. We all know that the Assassin's Creed games are not really that similar to Skyrim, but their latest game in the series, Assassin's Creed Origins has a lot of similarities. Unlike before, the combat is now third-person, and simplified, with a lot of stealth. The game is set in modern day Egypt, and has a lot of towns, cities, tombs and dungeons you can explore. You can also keep yourself busy with a lot of side quests that the game has, which will give you something to do besides completing the game's main quest. The side quests are very interesting and engaging and the story is very well written.